A little history lesson for those who accused Alex Knost of 'fake-steez' at Kelly's wave pool. After a short clip of Alex Knost at Kelly Slater’s wavepool surfaced in the past week, much familiar invective surfaced along with it as the internet’s denizens wailed and wept at Knost’s choice to ride a 70’s style bonzer rather than a tiny white thruster. In addition to this, Knost committed the equally heinous crime of not spending the wave performing a thousand ugly repetitive snaps and check turns in between barrels. How dare such a heretic bespoil the very temple of high-performance itself, erected by Slater’s holy hands in vain?! In fact, how did such a wretch even get invited to Kelly’s promised land, when so many far more deserving surfers have been loyally toiling away under the orthodox playbook of ‘ideal surfing’ upon founder-happy trim-incapable thrusters with all their torturous pumping, neurotic flailing, picking-a-coin-up-off-the-ground bottom-turns and spastic performing of “manoeuvres” that rarely have any actual functional manoeuvring purpose? Naturally, Knost’s expert trimming and wave reading was merely him “being a try-hard”, his setting and holding perfect critical lines in the pocket was only him “trying to look cool”, and masterfully achieving maximum straight line speed was just an expression of his “fake steez”. Sacrilege indeed. However, before Knost was chased out of the temple, some concession was made: although Knost’s decision to engage in a “10 second cheater-five” certainly “ruined the wave”, it was dutifully acknowledged that “…style in surfing” is still important. Whatever that really means. In recent years, the word ‘style’ has taken on a curious definition within the popular lexicon of surfing. Usually, it refers simply to anyone not riding a modern thruster. It is a sort of grand but vague descriptor that is bestowed upon all manner of non-thruster surfboard (longboards, fishes, hulls, twins, bonzers, eggs, etc.) and their riders together, as long as they are being ridden with at least a reasonable degree of confidence and competence. 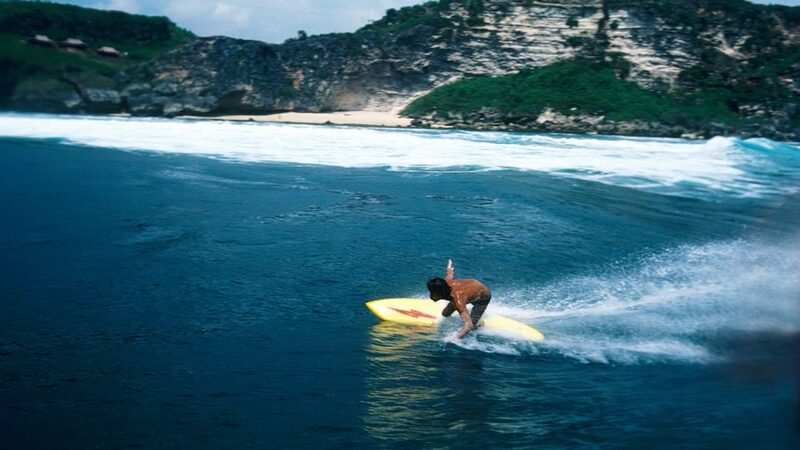 Style, defined ‘as the absence of the thruster’ marks a growing dissatisfaction, boredom, and defiance with and against the modern ideal of what surfing has essentially been since Simon Anderson debuted the thruster at Bell’s Beach in 1981. It is a recognition of what for many is now dull, repetitive, formulaic, ugly, and interspersed with rare sparks of brilliance only when exemplified by virtuosic pros. How do you describe the opposite of such a mundane monolithic thing? On the other hand, ‘style’ is also used as a backhanded compliment to be hurled at the rider of any non-thruster. This comes from the vague, broad, ill-definition of the word: ‘style’, construed to mean that non-thruster surfing is done only for mere looks. Manoeuvres done on non-thrusters are not functional, but merely a bunch of superficial posturing and prancing. The non-‘hi-pro shortboard’ is either a fun-board for beginners or an obsolete relic of the past. The little white thruster is the Formula One Car of the surf world, ridden by world-class athletes and no other craft is worth taking seriously (although to this notion I call upon the late Donald Takayama, who remarked on shortboards that “There’s nothin’ to em’. You just stand there and do the hula”). Sure, guys like Knost and Tudor might have ‘style’, but it isn’t real functional surfing. Actual surfing is done on thrusters or at least it should be. Such sentiments, however narrow and limited, are understandable. Anyone who has not lived through the decades of surfing prior to the 80s likely has no idea what they’re looking at when they watch Knost surf. As Bob McTavish remarked, “What guys are calling manoeuvres today is what we were calling mistakes back then”. The reverse also appears to be true: Knost’s manoeuvres, at least those that are even noticed by the typical surfer, must be comprehended as mistakes rather than the most efficient and skilful way to ride the kinds of boards that he does. However, one doesn’t have to go find a time machine and head back to ’76 to learn what he’s actually doing. Study film of Reno Abellira at Sunset, or Gerry Lopez at Pipe or Uluwatu, or Buttons, or Bertlemann, and you’ll get it.For Knost in particular, a film of Russ Short at Puerto Escondido will teach quite a lot about what he’s doing and what he’s riding. The “soul arch” bottom turns have a purpose: it’s simply the way certain boards make that turn best in critical situations. The graceful shifts in posture have a purpose in subtly adjusting lines and reaching specific speeds. Even the flashy cheater five is actually the most efficient trimming position. Certainly, these things do look cool, and perhaps they must especially when set against the dull monotonous background of ‘high-performance surfing’. However, they are also the very way those boards are ridden best, and if one enjoys riding those boards the way they’re meant to be, then what criticism can still be levied against the rider? Apparently some, still. A few may acknowledge the sheer pleasure of riding such boards and riding them expertly, but allege further that Knost and friends are stuck in the past, doomed to ape a bunch of old men forever. Likewise, they claim that such surfing is just as monotonous and dull as modern surfing, if not more so. Yet to condemn Knost as a historical re-enactor is also misguided. Influential shapers Tyler Hatzikian of the U.S. and Thomas Bexon of Australia point out that they themselves are not trying to recreate exactly what was being ridden in the past, but rather are continuing on to develop further where the shapers of the past had left certain designs behind. Certainly, some modernisation in rocker, foil, and rail line is included, but to combine these things with the outlines and shapes of the past creates a totally new synthesis never seen before. Like Hatzikian and Bexon shape, so too does Knost surf. It isn’t a stagnant repetition of the past, but an alternate route of progress starting from a point that had been marginalised, cut off, and even totally lost in the turmoil of rapid design changes and trends that eventually solidified into thruster orthodoxy in the ’80s and ’90s. What surfers like Knost and those like him do is, in the end, perhaps even more progressive and high-performance than the same old three-turn-to-the-beach thruster routines that have long been set in stone (sans the occasional new air and so on). Of course, none of the above has to be conjecture alone: any surfer can begin learning to ride boards similar to Knost’s own and find all of it out for themselves.